Our multi day packages are designed to ensure your peace of mind, safe in the knowledge that all the little details are taken care of. 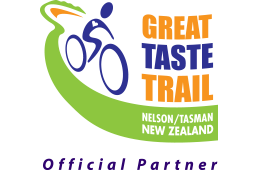 Our Coastal Classic trip, We Love Nelson trip, Art & Food, and Pigeon Valley Loop trips are priced based on our "All Sorted Package". Price depends on the level of accommodation you choose. Starting price is based on en-suite cabin accommodation at shoulder season rates. Our “All Sorted” package price includes accommodation and we have been out and about along the trail to find the best accommodation in each village. It includes motels, B&B’s and en-suite cabins. These are all close to the trail, and close to cafes for meals. “All Sorted” package prices start at twin-share en-suite cabin shoulder season rates. B&B or motel level accommodation is also available. The Gentle Cycling Good Things Maps are included in our packages. These are waterproof, topographic-style maps. They illustrate our exclusive recommendations for detours off the trail to visit all our favourite places. For the adults, we provide tips for the best local food, wine, craft beer, art, history and landscape. And for the kids, we’ve thought of fun things along the trail that will add something special every day. So everyone can enjoy the journey. Our itineraries are designed to make it easy for you to add a Park Day to your trip. Stay a night in Kaiteriteri, then go out into the Abel Tasman National Park the next day. 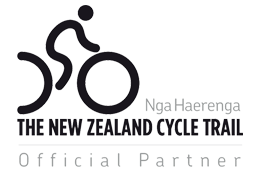 And if your cycling trip finished in Kaiteriteri, we will arrange your transport from Kaiteriteri back to Nelson, or to the airport, after your Park Day. Book your Wilsons Abel Tasman trip with us and you pay the same price as when you book it yourselves, plus, you receive a complimentary picnic lunch for your Park Day. Due to health and safety concerns, the maximum bag weight for our luggage transfers is 15kg. We can provide secure storage for extra luggage at our base.